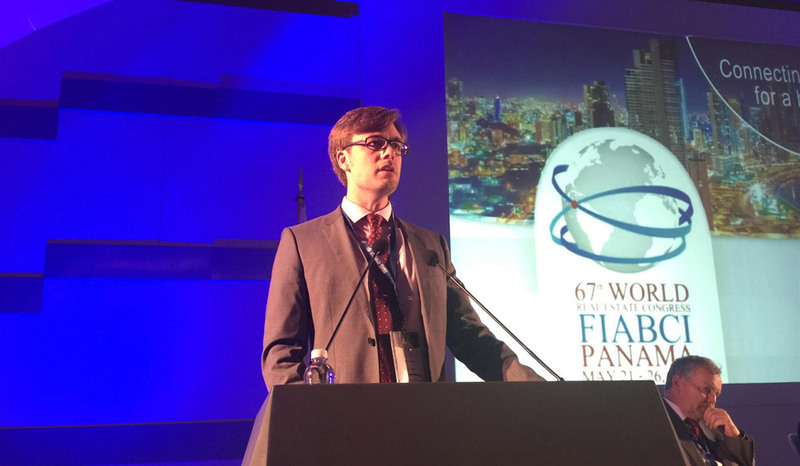 Adrian Schulz, President & CEO from Imperial Properties joined hundreds of real estate industry leaders from 65 countries in Panama City, Panama this week to attend the 67th FIABCI World Congress. This is the first time this respected industry event has taken place in a Latin American country. "The FIABCI World Congress in Panama offered our participants a unique perspective focused on 'Connecting Development for a Better World.' Panama's expanding and dynamic real estate market and strong economic potential made this a perfect venue for this year's event," explained Danielle Grossenbacher, FIABCI's Immediate Past World President. The conference theme, "Connecting Development for a Better World," served as the basis for the program, which was filled with world-class speakers, international networking and marketing sessions and exciting recreation and study tours where participants experienced all that Panama has to offer. Special guests included the President of the Republic of Panama, Juan Carlos Varela and Panama's Ministry of Housing Mario Etchelecu. There was also a unique presentation by the famous Venezuelan Kinetic Artist Carlos Cruz-Diez whose innovative artwork integrates sculpture with architecture. Ivan Carlucci, President of FIABCI-Panama, added that this event created new business relationships with representatives of the real estate industry around the world who were visiting. "Our goal was to encourage multi-national real estate companies to become established here, especially with vast opportunities generated by the opening of the canal expansion next month. We were committed to being the best hosts for the more than 50 delegations from 65 countries on five continents that visited us," said Carlucci. One of the many highlights during the Congress was the FIABCI World Prix d'Excellence Awards Gala Dinner. The FIABCI World Prix d'Excellence, considered the "Oscar" of the real estate industry, is a prestigious honor that recognizes real estate development projects that best embody excellence in all real estate disciplines involved in its creation and illustrates the FIABCI ideal of "providing society with the optimal solution to its property needs."